Chalet Baby Bear, our smallest luxury chalet in Chamonix, is picture perfect and so cosy you will never want to leave. An ideal family break or romantic getaway famous for its honeymoon ambience. 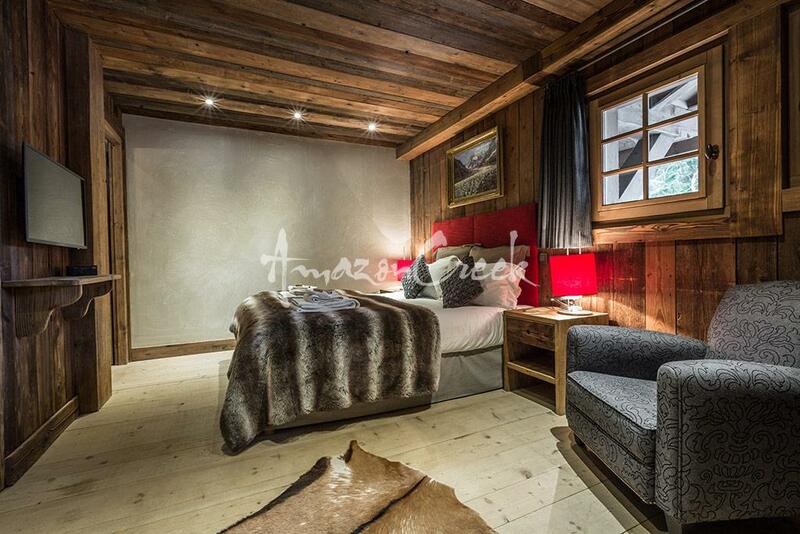 Located next to Chalet Amazon Creek, Chalet Baby Bear sleeps up to six guests in three delightful bedrooms. Two of these bedrooms are en-suite, with bathrooms featuring fluffy white towels, slippers, bathrobes and your very own L'Occitane products. 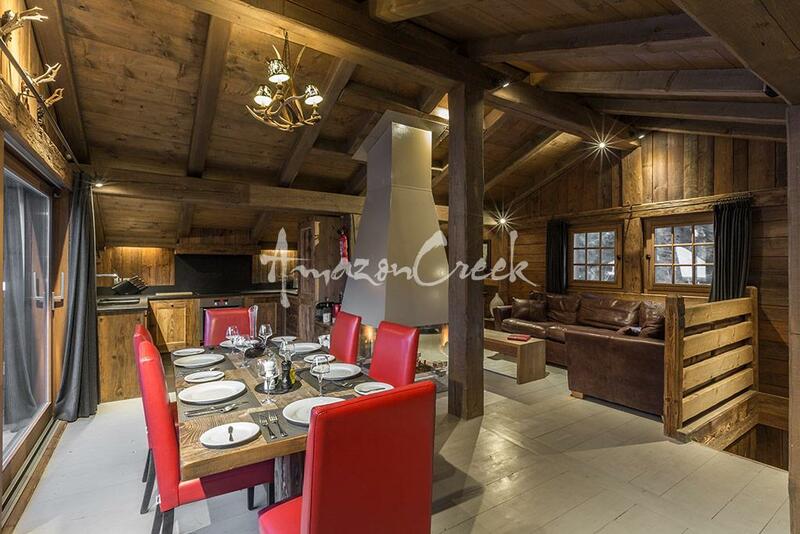 This picture perfect chalet combines a traditional French chalet feel, with luxurious design and and opulent finish. 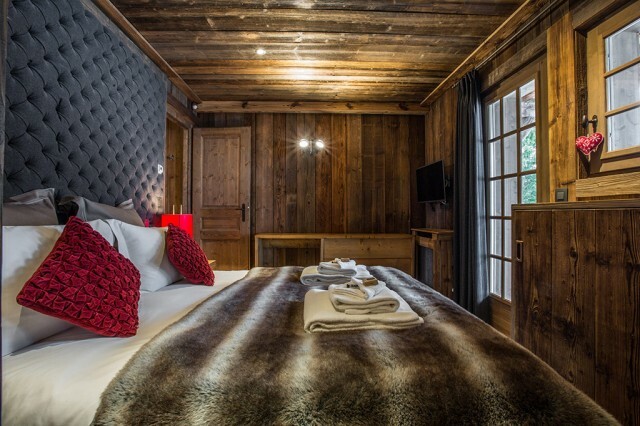 The overall image of romance and escape is yours in an exceptional alpine environment. Be charmed by a fully equipped kitchen, chic lounge area, dining room and large balcony-terrace. 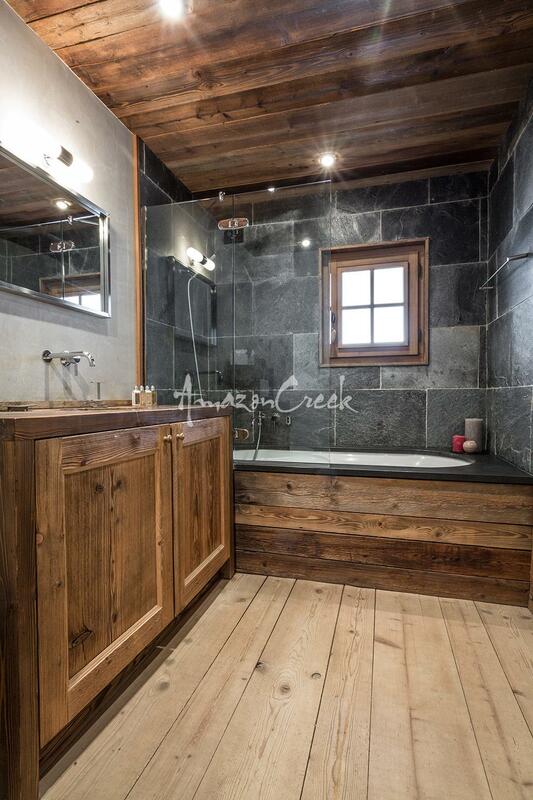 There is a beautiful garden located next to a mountain stream, which is home to an outdoor hot tub and terrace where you can sit back, relax, and take in the amazing mountain views! 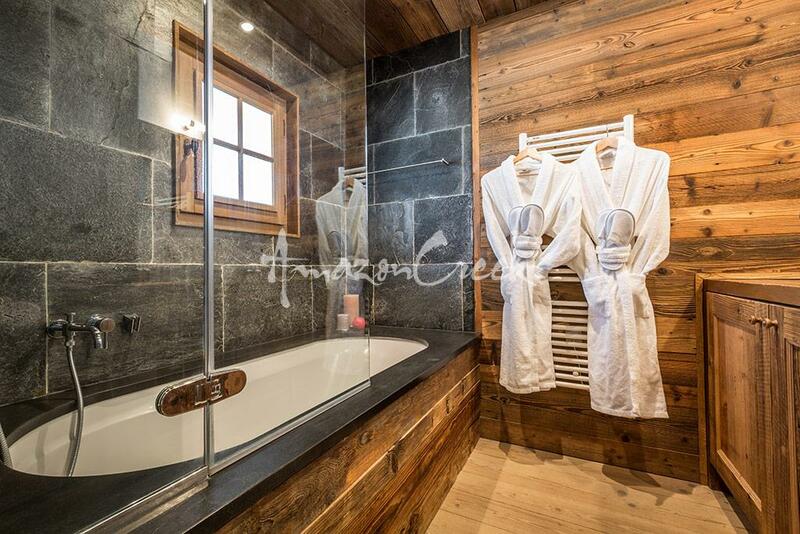 The chalet also boasts a sauna to be enjoyed after a day on the mountain. 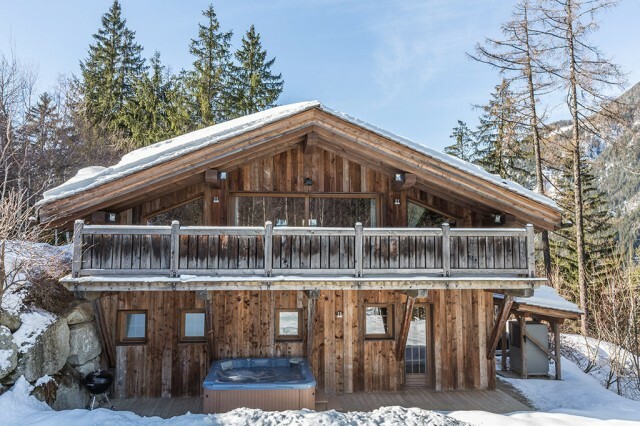 Whether you are looking for the perfect winter or summer sanctuary, Chalet Baby Bear’s luxury facilities flawlessly provide relaxation in perfect serenity. From the moment you reserve your luxury chalet with Amazon Creek to the moment you travel back home, our team are available to assist you with both pre-arrival and in-resort concierge services. Our local experts are at your disposal to provide the best service, allowing you to enjoy your bespoke vacation with Amazon Creek. On arrival, be greeted by your chalet team, and let the pampering begin! 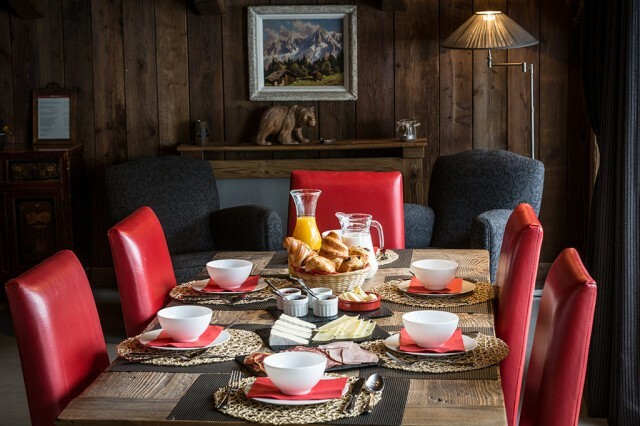 During the winter months the chalet comes on a self-catered basis but benefits from the additional VIP services of transfers to and from Geneva airport and in-resort private chauffeur services. A personalised catered option is available at an additional cost on request. This would include a private chef, daily cooked or continental breakfasts, afternoon teas with cakes, six delicious four course dinners per week, and outstanding house wines. We will also include a champagne reception and canapés upon arrival to make your holiday extra special. During the summer months enjoy complete relaxation on a self-catered basis. Amazon Creek includes a welcome hamper and a pre-arrival shopping service. As with our winter offering we can also add extra services as you require them, such as a chef to cater to your every need. A catered option and/or driver services are available on request. A catered option is available on request to include a private chef on 5 days and complimentary drinks. Chalet Baby Bear may also be rented fully catered or self-catered in conjunction with Chalet Amazon Creek for parties up to 16 (Petit Amazonia), or both Chalet Amazon Creek and Chalet Baloo for groups up to 28 (Amazonia). Nestled in woodland next to a mountain stream, our cosiest property combines pure luxury with tranquillity. Enjoy breath-taking views of the Aiguille du Midi. King size bed or twin with Smart plasma TV, adjacent shower room. King size bed or twin with en-suite bathroom with bath and shower. Smart plasma TV with access to the outdoor terrace, hot tub and garden. Main living and dinning area. Lounge area with plasma screen and sound system. The chalet was beautiful and the service from your team on the ground was superb. We had tons of snow and some bright sunshine. The setting of the chalet was lovely, so peaceful and quiet. I would recommend Amazon Creek to anyone, we really had a brilliant time. 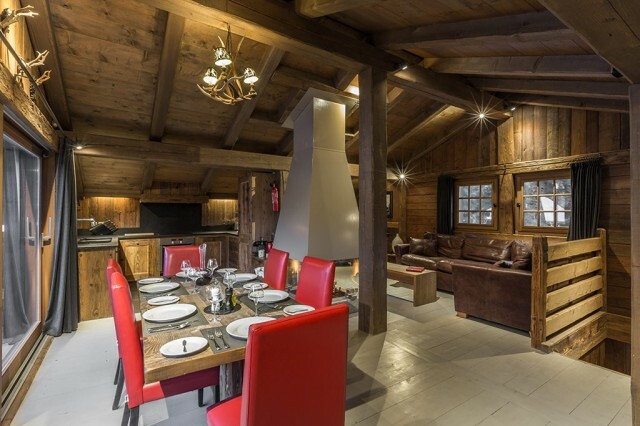 What a fantastic Chalet! The staff were diligent and warm and I cannot sing their praises enough. My family and I were spoilt and really well looked after. If you can, do go!